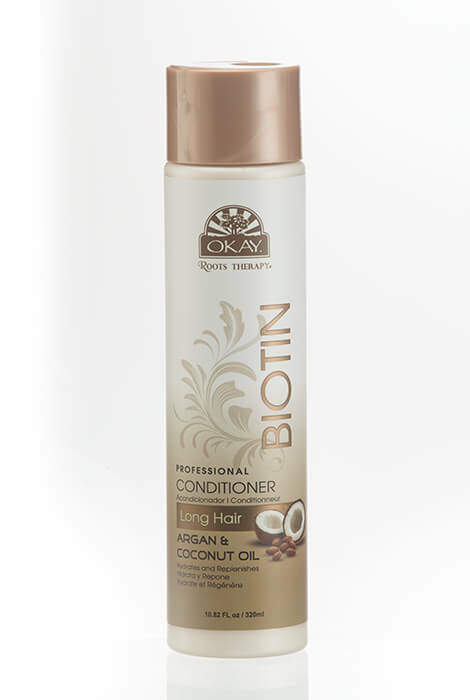 OKAY® Biotin Professional Conditioner for Long Hair works to hydrate long hair while reviving its natural moisture and shine. This deep moisturizing conditioner is enhanced with argan oil, coconut oil and shea butter, leaving hair well-nourished and providing balance to dry, weak, damaged hair. For maximum benefit, use with OKAY® Shampoo. 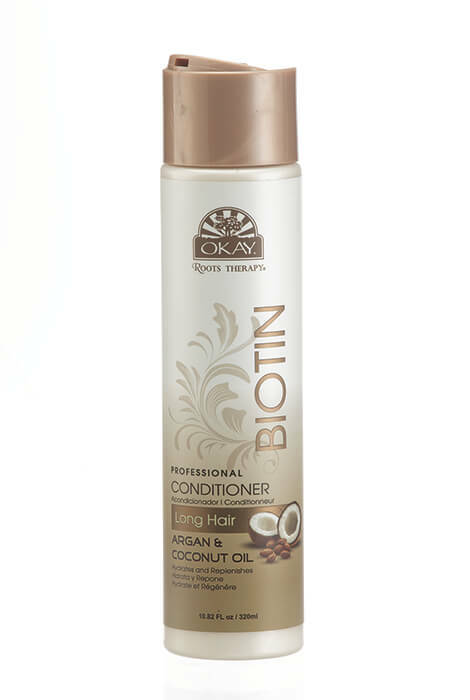 This hair conditioner is ideal for long hair. 10.82 oz. After shampooing, apply conditioner and gently massage onto hair & scalp. Rinse and repeat. For maximum benefits, use with the complete line of OKAY® products.